Google has slowly but surely been updating its web features to use material design principles. Some of these updates have been more successful than others. The company is now undertaking a simple but potentially treacherous update: the sign-in page. G Suite users will start seeing the new page soon, and it'll probably reach everyone eventually. The new sign-in screen has an updated logo, and all the text is center-aligned. The text field also has an outline. You can see the new one on the right above. The functionality is the same, but there is some risk users will be alarmed by the change. The constant barrage of hacks and phishing online have made people wary of log-in screens that don't look quite right. 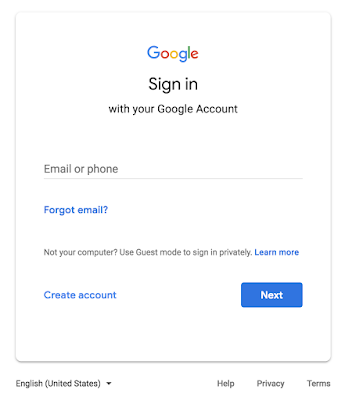 Google suggests administrators tell users about the new look for account logins. All G Suite users should see the new screen in the next 15 days. Regular Google accounts will likely get it in the not too distant future. 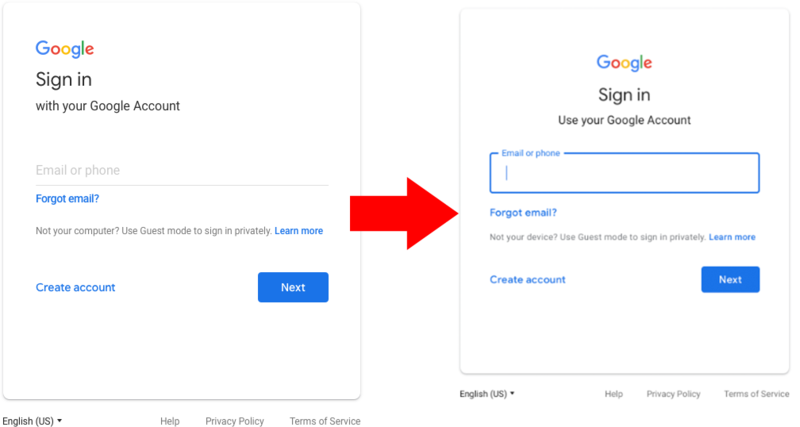 Yesterday Google published an update on this subject to the G Suite blog in which it apologized for the delay in rolling out this new sign-in screen. It will be landing this week instead, with some small tweaks. The attentive will notice that the blue outline around the entry field previously shown won't appear for a few more months. Other than that, the generally center-justified layout should be as expected.